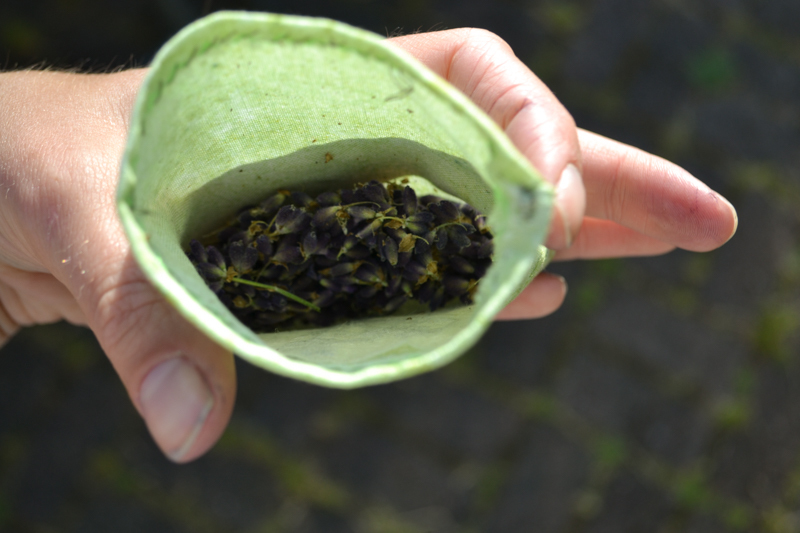 When I was a child my mother taught me how to make scented pouches for your wardrobe. 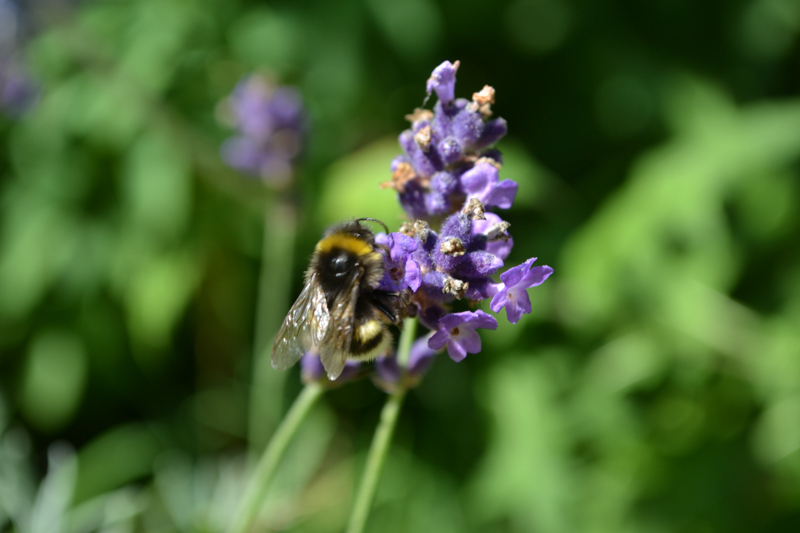 Yesterday I was out enjoying the long awaited heat wave, and admiring all our furry bumble bees. 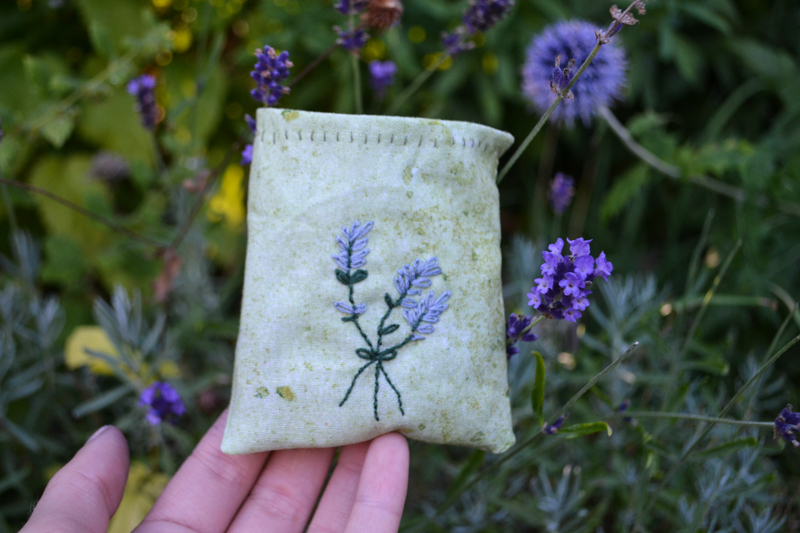 I spotted some lavender that was bloomed out and was reminded of these pouches. 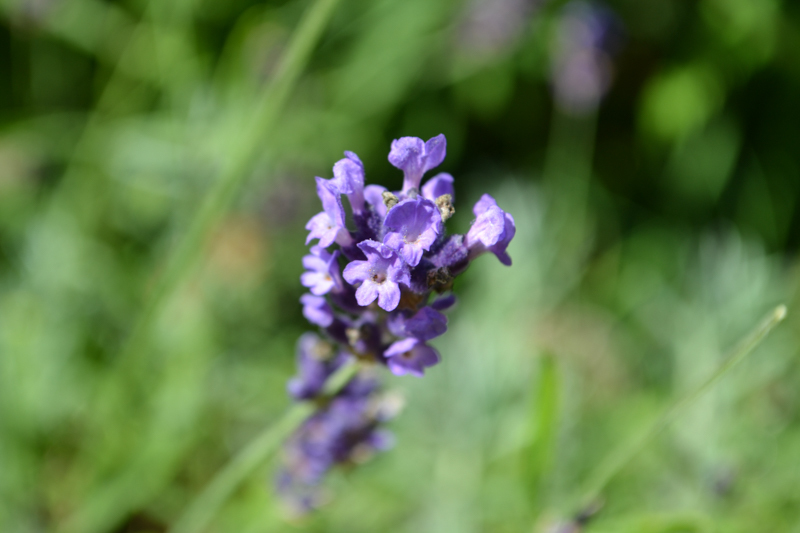 Greg (♥) loves lavender so I figured it would make for a sweet gift and a relaxing weekend DIY. I chose to try out embroidery for the first time to add a nice handmade finish. For this detail you will also need an embroidery loop, embroidery floss and a larger needle. I adapted a pattern I found that seemed easy enough for a complete beginner. It was very simple to just freehand, so I didn’t transfer the design to the fabric before I started. 1. Plan out where you want your design to be and make sure to size it appropriately for the size of the pouch. I used a larger piece of fabric, stretched it across the backside of the loop and applied the top. 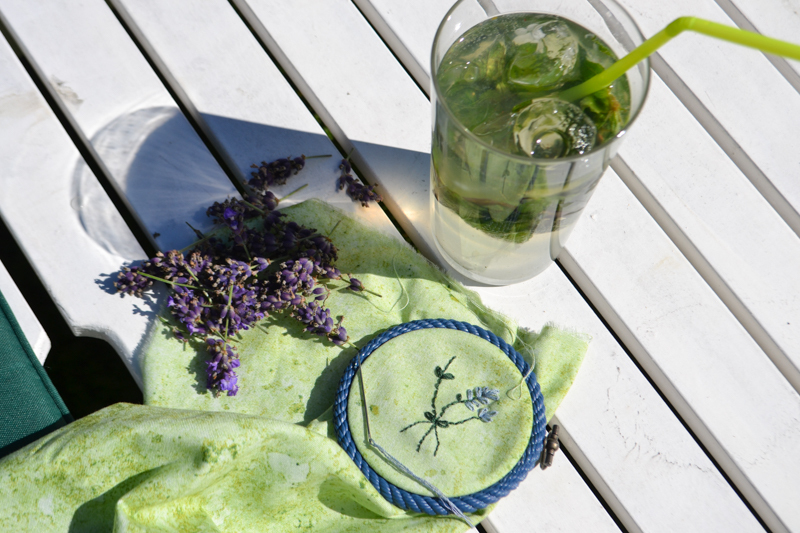 Start by embroidered the stems using backstitch, then the lavender blossoms with the detatched chainstitch. 2. Fold the fabric to create a rectangle, cutting three more sides to the pouch (with 1 cm seam allowance). The top part will need to be a bit longer to allow for the ribbon/twine/floss to be thread through. 3. Sew two of the sides shut (I used a sewing machine, but this can be done by hand if you are a diligent little worker ant) and zigzag/blanket stitch all the edges. 4. 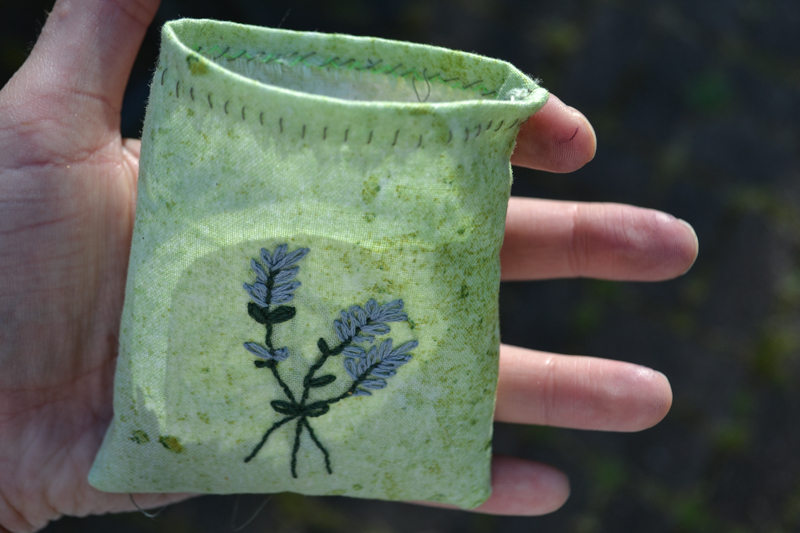 Fold the top side inwards and do a whip stitch on the inside, creating straight vertical stitches on the front of the pouch. Make sure you use a strong thread for this as this is what your tie will go through. 5. 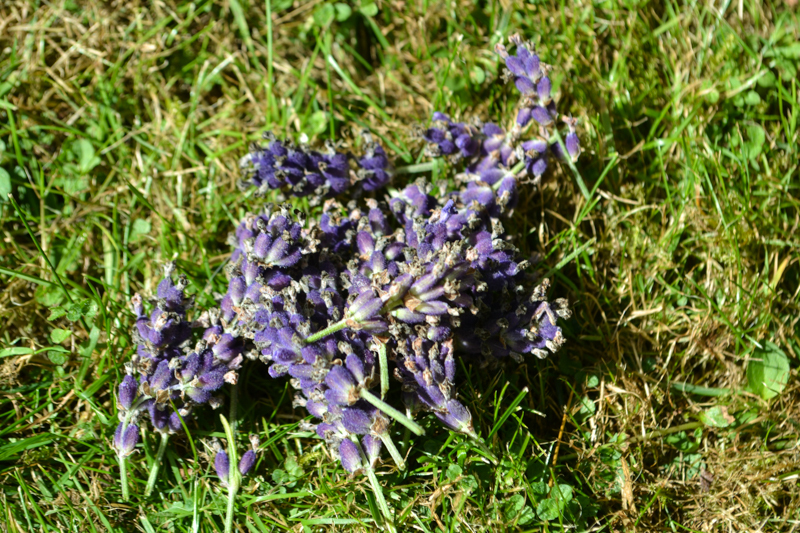 Fill with lavender, stripping the flowers from their stems to give a fluffier bag. 6. I used the same embroidery floss as for the stems to tie the bag, cutting two pieces that were 4 times the length of the top. Thread one piece through all the stitches at the top, starting from the side of the pouch. Thread a second piece of floss through from the opposite side, so that when you pull at them they tighten around the middle. I chose to twist the ends together on each side for a more finished look, tied the edges and singed the ends to prevent fraying. 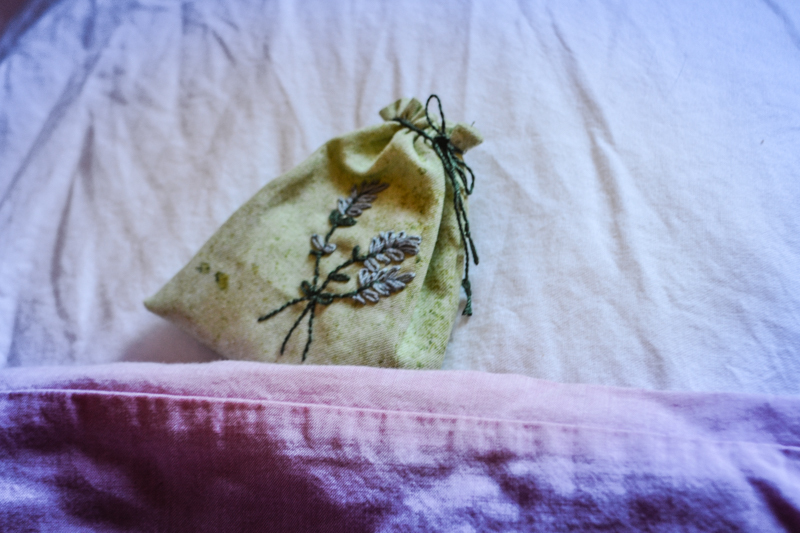 Lavender has a proven relaxing effect and is often recommended for people who have troubles getting to sleep or with stress, so what better place to put this keepsake than on or inside your pillow case.